Thirty members of the Evolutionary Leaders circle gathered in New York City from June 1-4 to build a unitive field and explore how various pathways to the emerging consciousness can help adress the major challenges facing today's world. Beyond the sheer joy of simply coming together, the retreat/advance encompassed synergy-building exercises, deep sharing, fun and laughter, a fundraising salon, and a meeting with members of the United Nations departments and agencies. 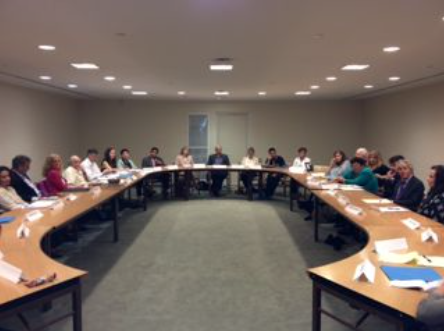 On the afternoon of June 4, several Evolutionary Leaders offered "Ted-style" presentations to the UN diplomatic and NGO community at the Permanent Mission of Nigeria, co-sponsored with the NGO Committe on Spirituality, Values and Global Concers (NY).